What did you expect Kaala to be? What would you expect a Rajinikanth-starrer by Pa Ranjith to be? Engaging, exciting, with dollops of Super Star swag? You won't be disappointed. But then, so was Kabali. Two years later Ranjith has raised the bar. If Kabali was an example of good craftsmanship with chutzpah, Kaala takes it to a different level. Craft is on display at multiple levels here, in terms of filmmaking as well as in injecting ideology. Eventually Ranjith exceeds craft and smoothly moves in to art: Street art – make the most pedestrian of a surface your canvass and draw broad strokes, fill the space with in-your-face colours. But instead of making cool kitsch, introduce minute inlays and sensitive expressions. 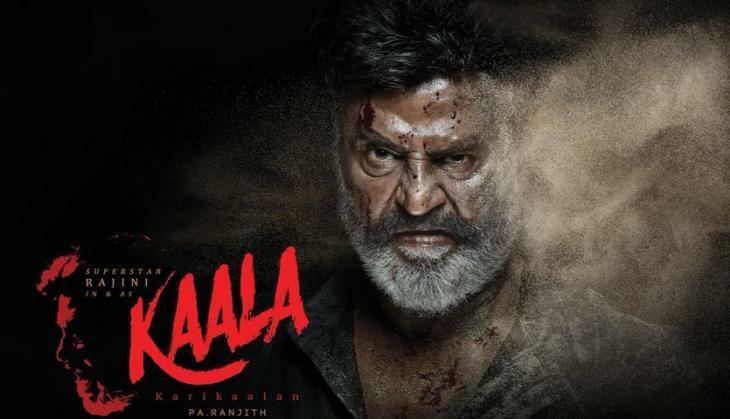 Kaala entertains: It builds a damn good story about rounded characters in a detailed milieu, paces it well and plays to the strengths of its unique selling point – Rajinikanth (as Kaala aka Karikalan) in Dharavi. 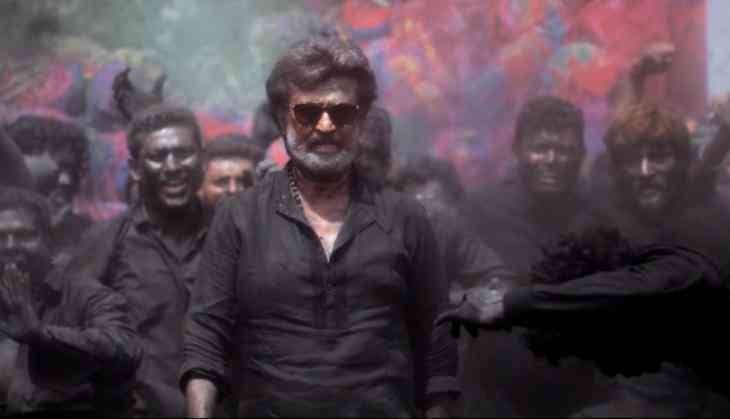 He walks in strides, turns in style, laughs and smirks, delivers dialogues that sends the gallery erupting in cheers, be badass, be sensitive... basically be Rajinikanth. He fights for a cause against a powerful villain (Nana Patekar as Haridev Abhayankar). Paisa vasool – guaranteed return on the audience's investment of time, money and energy. And then the fun begins. Ranjith turns tropes on their heads, makes heroes out of villains, uses icons and symbols to make the everyday world fantastic and offers you another story. It's your choice to watch it or ignore. Case in point, Kaala himself. Who is he? Why Kaala? He is a strongman in Big Bad Bombay, now Mumbai, who hails from Tamil Nadu. He is not the first, be it in real life (Haji Mastan, Varadrajan Mudaliar) or reel (Velu 'Kamal' Naicker in Nayagan). Simultaneously, he is dark-skinned, wears black – vesti, shirt, banyan et al, teamed with dark glasses. Only occassionally does he sheds the 'kaala' gear, when he sits in a lungi outside his house with his family, his wife Selvi (Eswari Rao) busy warding off any evil spirits from his sphere. But once he takes off his black jacket, you find a blue shirt inside. Kaala sits in namaz and has Gautam Buddha in his house. He carries a big, black parasol, a symbol of royalty and spiritual power in Buddhism, and when a junior villain (Sampath Raj as Vishnu Bhai) harms someone he dotes upon that 'chhatra' becomes his weapon. In fact, not once does he pick up any conventional weapon. He makes do with his body and whatever is available near by. Bete noire Haridev – Hari Dada – on the other hand is proud about his ancestral sword, which he cleans lovingly as “weapons should never rust”. To the same Hari Dada he explains that Kaala is Yama, the God of Death – his death. 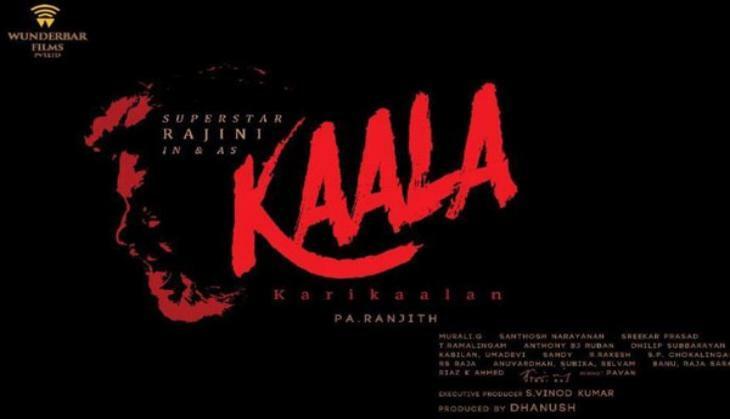 For his grandchildren, however, Kaala is explained to mean 'the protector'. Buddha is present almost at every important corner in Ranjith's Dharavi. Along with BR Ambedkar. A wall graffiti that is witness to the movements in the script has the Shakyamuni in the middle, flanked by Bhimrao and Jyotiba Phule on either sides. There is also Periyar on a street corner as well as in the appearance of Kaala's father, who is seen only in animation. At the local English-medium school there is Kamaraj guiding two children. This is the Dharavi of Kaala Seth – Kaala Qila – the world that Ranjith passionately constructs. Hari Dada's party to build a “clean, pure” Mumbai has an aggressive bright ochre flag. When the residents of Kaala's Dharavi defeat him in election by voting their own candidate, his party flag resembles the tricolour – only blue replaces saffron. 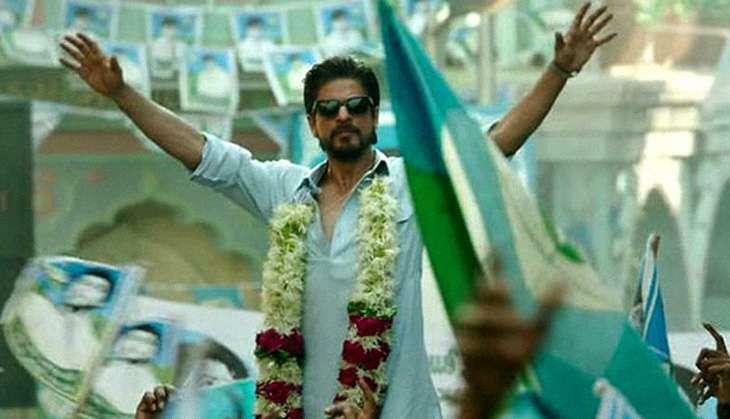 It brings back memory of another strongman-in-a-ghetto film – Raees. When Kaala has to address his citizens the venue is one dedicated to the Buddha. You can see 'Bhimwaadi' inscribed just under it. At one point the godfather reminds all that their past was rooted in “cleaning”. 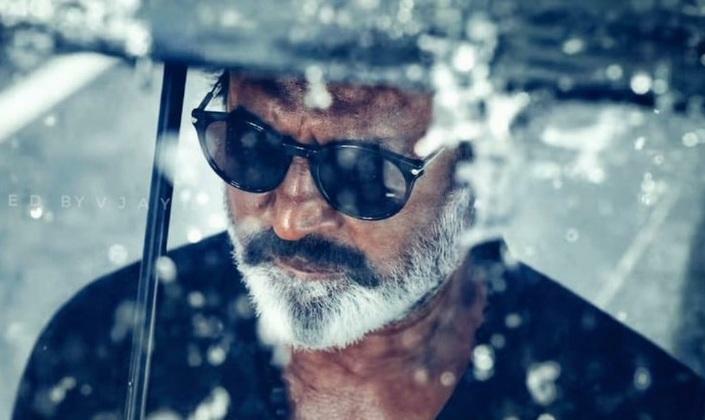 If Kaala's father egged farmers-turned-migrants to pick up the sickle to protect their land, Kaala makes the leap from Dalit symbology to that Marxist weapon – workers' strike. There's also a doff of the hat to Bhagat Singh in the credit title epilogue. The subaltern tale runs deeper than Dalit symbols. Apart from a Tamizh deity outside Kaala's house, you can see a book titled 'Asura' on his table. Just before the final fight with Hari – another name for Krishna – Dada, the protgonist warns him that “if your religion eggs you on to exert power and capture all, I wouldn't hesitate to stand against it”. Eventually Kaala becomes Ravan, hunted by an army of underclass led by a devout follower of Hari – Sunil (Ravi Kale). The way he kills at will with an axle bar is reminiscent of depictions of a mace-wielding Hanuman. While this happens, Hari gleefully listens to a reading of Raamayana. Retelling that epic from Raavan's point of view is not new in Dravidian tradition, celebrating him as the great Asura king whose intelligence equalled those of 10 ordinary beings. Earlier Vikram played it to praise in Mani Ratnam's Raavanan. But the temptation of casting Rajini, the original antihero of Madras, must be something. Does Ram kill Ravana again? It's for you to interpret in a surrealscape after the climax, which Ranjith drapes in gulal – that all-coating coloured powder of Holi. First comes black, then red, then blue and then an explosion of neon-vibgyor. In between, Ranjith fills in a filigree of details, like a '70s romantic Hindi film number when Kaala meets old love Zareena (Huma Qureshi) the first time in the 'present'. Oh! And there is the good cop who is named Shivaji Rao Gaekwad (wink, wink). All this takes up 159 minutes, but editor Sreekar Prasad mostly prevents over-indulgence. Murali G is deft behind the camera, stepping in with close-ups and then zooming out to establish sequences, some of which are beautifully choreographed pieces in shades of black. A lot of that depended on CGI, guess the credit for which goes to Makuta VFX. The music by Ranjith regular Santosh Narayanan is versatile. Not only does he help set moods but also in creating expressions through hip-hop, which on-screen is performed by a group of young boys who are mini-sutradhar/narrators. K Makizhan's dialogues go a long way in building characters. The performances are generally on the mark. Apart from a few close-ups, Rajini is at his regular screen-presence best, filling up frame after frame. Nana matches him with precision, playing a memorable Mumbai villain after decades. Qureshi comes across as undaunted by the big 'uns and turns in a mature performance. Anjali Patil is a powerhouse, much different from her understated turn in Newton. Eswari Rao and Samuthirakani are wonderfully stable throughout, playing foils to the superstar. Dileepan and Manikandan, among Kaala's sons, have pitched it really well. Pankaj Tripathi as the bad cop is as dependable as he mostly is. Ramesh Tilak scores in his role as a journalist. Ravi Kale shows that he is underrated. All of them are, however, parts in a grand plot by Ranjith. It looks simple on the surface but to keep it that way needs a sophistication. Yes, he does get carried away at times – the prologue on 'land war' initially gets a little preachy. But his achievements outweigh that. Without deserting the grammar of the commercial Tamil film, he builds steps onto steps that eventually bring you to a frame with the Indian tricolour on the foreground, but the focus is on another flag on a rooftop, a fluttering blue cloth proudly proclaiming 'Jai Bheem'. Verdict: Don't bother with reports of soft opening; don't miss this.